First Thursday Food Trucks and Holiday Market! Join us for the final First Thursday Food Trucks of the 2014 season! Keep your gift-giving local this holiday season with the Tucker Farmers Market Holiday Market. Every Thursday through December 18, the TFM will add more local crafters, in addition to the local farmers and food producers whose goods you enjoy all season. Imagine this season that you can give: A “Nut butter and honey basket” with almond butter from NaturAlmond and local honey from Castle Rock. Or shake up a holiday party with a delicious Hibiscus punch from Mo’Mint and Thyme. 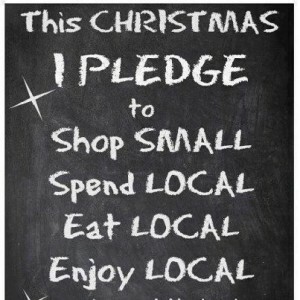 Or fill a stocking with bath products from Cheeky Maiden and locally made jewelry and knitted items. Or gift your four-legged friends with treats and toys from Tucker’s own Nova Pet Supply. Don’t forget our Main St. merchants! The Garden Enthusiast and Festival Unique Gifts & Fine Arts all offer beautiful, unique gifts for all your favorite people. 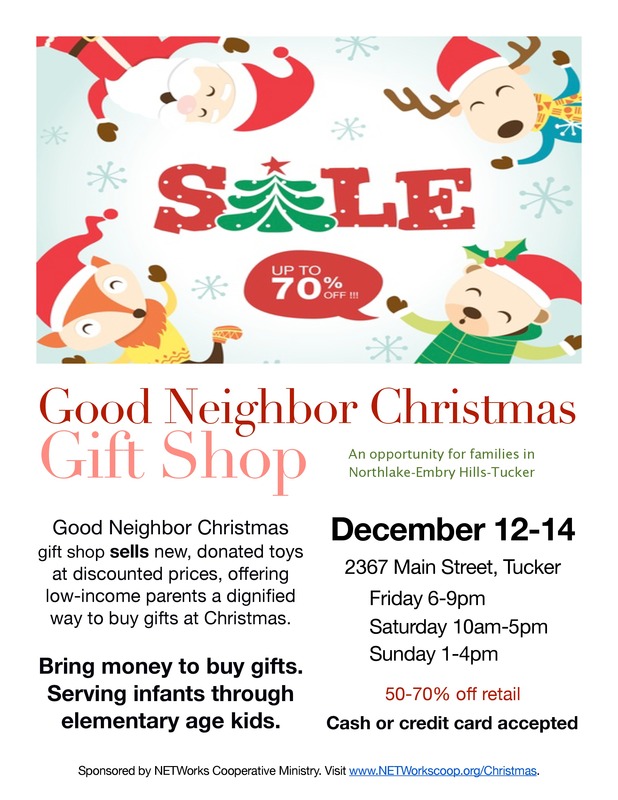 The Good Neighbor Christmas Gift Shop sells new, donated toys at discounted prices, offering lower income parents a dignified way to buy gifts at Christmas. Donations are still being accepted until December 5. View the list of suggested donations. Next Post Winter News from TFM!